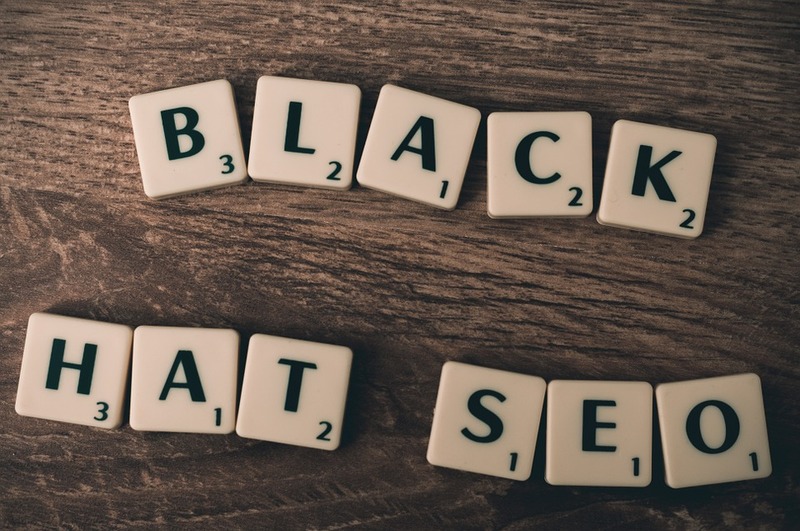 Black hat SEO is essentially a technique, in breach of a search engines terms of service, applied to a page or website to get its rank higher on a given search engine. Participating in these practices can get the site banned from the search engine and any affiliate sites as well. If the process is not going to add any value to the user, then it is highly likely to be a black hat technique. There is virtually an endless list of black hat practices in the SEO world; however there is a collection that are particularly bad. Whilst this used to be possible, Google now recognises this as a breach of terms of service. It is important to include keywords into content; however, it is more important that the content written is of quality and easy to understand. This is as opposed to including excessive keywords to attempt to improve page rank. Try keeping keywords to a minimum, for example 3 per page and no more than 7 of each associated word in an article. Using guest bloggers in to write content can be extremely beneficial and help to expand the reach of a certain page. However, posting on irrelevant, low-quality sites to boost links is another breach and could get the user into a lot of trouble. Guest bloggers are ok to use, but it is becoming more and more of a spam tactic, so it is best to keep them to a minimum and post only on relevant and quality websites. Link advertising is a really common way for publishers to receive monetary gains for their sites. Often what happens is a company will ask to buy ad space on a site and then request a link to content in a piece written on the site in addition. Essentially, this provides free link advertising outside of Googles regulations of display or search and can get the user into trouble. Whilst this may seem like it is purely advertising, and in many ways it is, Google views it as a link scheme. This one is a little more difficult to manage as it is often not the direct fault of the user. New or un-savvy publishers can sometimes improperly include links on a site. That is, they do not correctly include rel=”no follow” in the link. So for site owners, it is important that they always check and also educate publisher’s work so that there is no potential for paid links to end up passing ‘link juice’ and getting the user in trouble. This is essentially the same as selling links although it falls under a slightly more innocent level. It involves accepting a free product in exchange for a link on your site. The idea is that there is content published on the site about the product with a link to the product included and, in return, you receive this product for free. This is another practice that is classified as a link scheme by Google. In order to avoid this, simply add rel=”no follow” to the link. It can sometimes be difficult to rank for popular keywords as it requires effort and attention to detail overtime to understand what works and what doesn’t. Marketers, in some instances, will include irrelevant or unrelated keywords into new or even existing content to ensure that they rank for those keywords. Whilst this is difficult to detect, Google have developed a mathematical method used to determine the relationship between terms and concepts in content. They call this Latent Semantic Indexing (LSI) and it matches the title to relevant keywords in the content. If there are lots of keywords that are irrelevant then Google will know. This involves taking existing articles and changing a few things such as the title, wording and maybe even formatting before re-posting it as your own. Essentially, this is the purest form of plagiarism available and will get you into trouble and undo any of the work completed to date. Paying for new content can be expensive, but it’s worth it in the long run. Finally, the worst black hat SEO practices anyone can do. These are the techniques that everyone knows are bad but are done anyway to achieve rank. These are the types of practices that will be avoided by a top and reliable SEO agency and SEO experts. This process is refers to the practice of presenting humans/ users with different content or URLs to that of the search engine. The reason that this is banned by Google is because it provides users with different results to what they expected. An example of this is serving a page of HTML text to search engines and showing a page of images or flashes to users. This is the practice of buying up popular domain names for the sole purpose of reselling them to the person her company who owns the trademark on that name. This refers to attracting users to a page stacked with a selection of keywords with the sole purpose of sending them through to another page. The problem associated with this is that the doorway page often takes up all the top rankings for the given keyword(s) and therefore doesn’t actually aid users in what they are looking for. This involves aggressive commenting on blogs by leaving links in the comments section that backlink to other content. The aim is to generate a lot of traffic in a really short amount of time. However, Google are very good at identifying and devaluing these links. This is a very old school technique however it is still very much in action today. This involves changing the colour of keywords to the same colour as the background or even positioning the keywords off screen using CSS so that it is only visible to search engines. In the short term, many of these practices may increase rank and traffic to a particular site. But, in the long run, Google will identify their use and reputation and rank will be damaged. As a result, using a trusted SEO company is essential to maintaining a healthy reputation.